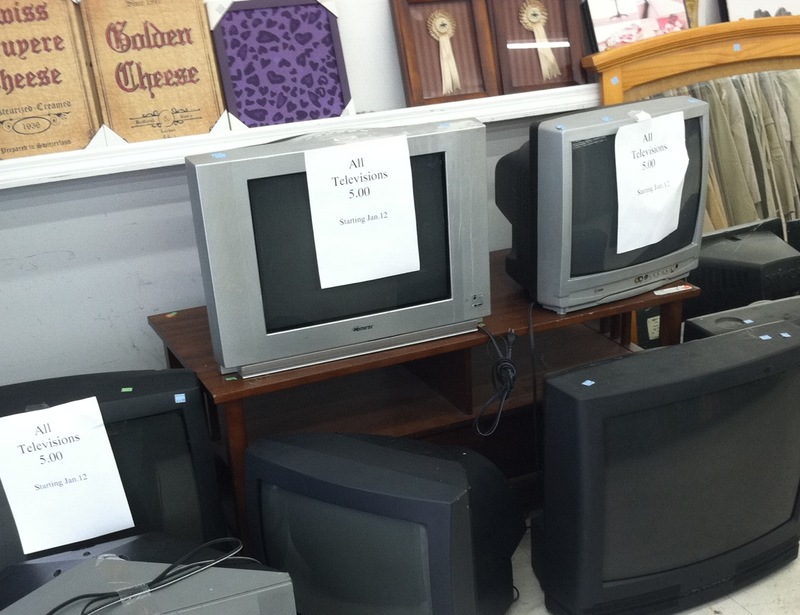 GB Why did you choose this pile of televisions? KK Obsolescence has its own melancholy. The detritus of our lives accumulates all around us, but often does so out of sight. I like this photograph because it makes obsolescence visible. The discord between the physical substance of the television sets and the five dollar prices feels essentially illogical and strange – even though logic tells us that there is a clear relationship between the size of the sets and their rapidly declining value. Beauty should render things newly visible, make the unseen seen. GB Technology is interesting because a new TV or cellphone or laptop seems to hold so much beauty when it’s brand new. This then fades. Do you think it held real beauty in the first place – or something else? KK These objects are essentially designed to function as fetish objects – they render material the promise of technology, and the attendant notions of progress and ease. But they only do this momentarily, until the technology moves on, goes further, changes form. The fascination of a beautiful piece of technology lies in the way it balances the relationship between function, design, and technological promise. Even if the design retains its essential beauty, once either of the other two fades, that balance is lost. GB Have you personally ever kept something that’s technologically obsolete because you find it beautiful? KK No. I have an old camera of my father’s, but that is special to me for strictly personal reasons. But I do like to imagine a world in which the vintage typewriters that are currently so popular in lifestyle magazines and antique markets are replaced with the cumbersome televisions in this photograph. The principle is, after all, exactly the same – it’s just the specifics of the timing that is different. GB Do you think our use of technology is changing our view of beauty? Even your picture of the obsolete TV sets is probably taken with a camera-phone – and will be shared across the internet. KK I don’t think methods of distribution, or speed of proliferation, essentially change our idea of what constitutes beauty. It might change the manner or regularity with which we access it, but I’m not even sure about that. GB Do you think that melancholy is often associated with beauty for you? Are you touched by the melancholic in other people’s art or writing? KK I think nostalgia and melancholy are well-established routes for thinking about beauty. Certainly they are useful in thinking about aesthetics. GB Do you think that there are levels of beauty? That the televisions are an everyday beauty or beauty in a higher form? And perhaps you have raised their beauty to a higher level with your words? KK A lot of beauty is contextual – to take the most obvious example, standards of physical beauty vary according to historical period and geographical location. We take that relativity for granted. Part of what I wanted to think about in selecting this image was the fact that this context can be unstable even when our temporal and physical location is fixed. I like the notion that beauty is not only dependent on context, but is in the context itself. KK Something that grants me privacy. I think the experience of real beauty is often incommunicable. It’s not something that can be talked about. We live in a world where there is a great deal of emphasis on constant communication, and it becomes easy to assume that every detail and any experience can be communicated in an instant. Beauty denies that facility, it reminds us of the boundary between ourselves and others – and at its best, it slows down time.